10 Must Have Beauty Bargains - 10$ or less! Scoop Post: MAC & Mickey! 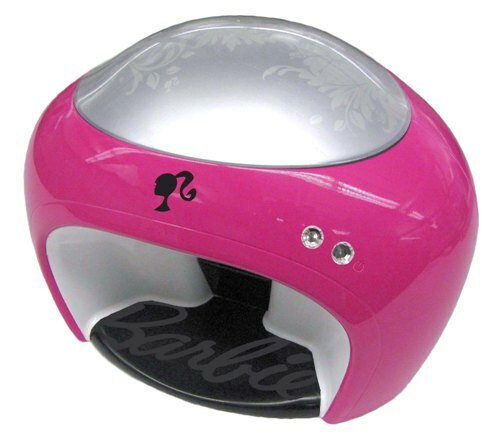 Get your own custom manicure with Mattel's Barbie Dolled Up Nails Digital Nail Printer. You can create quality designs for your nails at home. Just insert your nail, select a design, size it to fit your nail, click print, and your done! Printing only takes a few seconds and the designs last up to four days! OMG I need this in my life! Will you set your digits apart from the rest with the latest trend in nail design??? WOW!!! Because I do not have acrylic or a layover on my nails, every time I go to the salon to get my nails designed, it never last. This would be so much more convenient and inexpensive in the long run. Love the post. Ryann just got a Disney Fairy thing like this for Christmas. She would pass out if she got this and I can't lie...I kinda want it too!